A chipped tooth doesn’t just lower the self-confidence of a person but could also lead to few dental problems. Most of the time, it is the outcome of a severe accident and is a common situation. Just because it is painless doesn’t mean it is not a matter of concern. On the contrary, the broken tooth must be treated as soon as possible from a well-known and trusted dentist like Dr. Robert Don who has a dental practice in Irvine, CA. So, in order to better understand dental accidents, below are the three most common kinds of damage that can occur to one’s teeth, what causes this dental damage, and how to treat the broken tooth or teeth with different techniques depending on the severity of the damage. A chipped tooth is a dental problem where tiny bits of a tooth is broken, but no pain is caused. It is a purely cosmetic issue and doesn’t involve any painful experience. Unlike a chipped tooth, a cracked tooth is a matter of medical emergency. This can be painful and result in fractures on your teeth. Various splits might result in root fracture. The severity of the cracked tooth depends upon the location and the size of the affected area. Getting in touch with a top dental office is very important and essential to your overall dental health. The most dangerous and unfortunate situation often resulting from severe accidents is a broken tooth. A tooth is typically broken into half-exposing the inner tissues that might cause trauma. The affected area is not only painful but will also bleed. Tooth damage can occur from a number of situations. Remember the last time you tried to crack the last popcorn seed with your teeth? It is not only unhygienic but could also affect your teeth in the long run. Psychological issues such as teeth grinding, or teeth clenching can also contribute to damaged teeth. 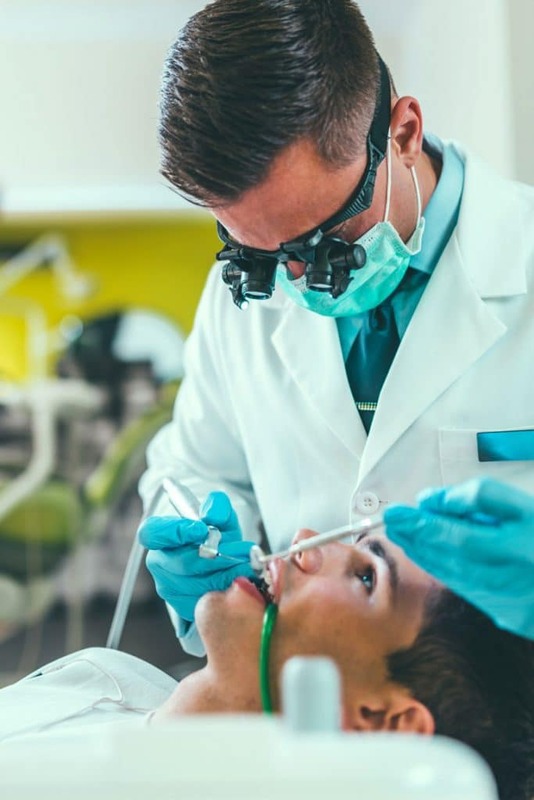 Also, when old dental fillings wear off or a new dental infection happens then it is important that you address the issue by visiting one of the top dental offices in Southern California. Most of the time a broken tooth can be fixed to restore its original appearance. But the chances and the probability are highly dependent upon the time you decide to treat the damage. For fixing chipped teeth, a medical device is used to gently remove the other part of the chipped tooth that results in sharp edges. Finally, a polish is used to blend the damage and give your tooth a natural look. Composite fillings are used to fill the void created by gluing the synthetic material to the tooth. A few hours later the material gets hardened giving a natural look to the teeth. A special tooth is designed in order to mask the damaged tooth. It is followed in circumstances where the dentist feels the structure is healthy enough to accommodate such changes. An artificial tooth crown is fixed to the tooth to restore the appearance of the teeth. You can also consult a dentist to implement the dental implants. When the damage is more severe and the internal structure has suffered, root canal treatment has to be done before carrying on other cosmetic procedures. In this treatment, the root is cleaned and filled after the enamel crown is weakened. Finally, a dental crown is fixed to the teeth to give it a natural look. Only a professional and reputable dentist knows what’s best for you. If you are in need of broken tooth fixing and live in Orange County, California, then Robert Don DDS, located in Irvine, California is a great option to choose. He has had many years of experience in both general and cosmetic dentistry. He will make sure that your dental needs are met to the fullest extent. Call Robert Don DDS today to get the perfect smile you always desired.